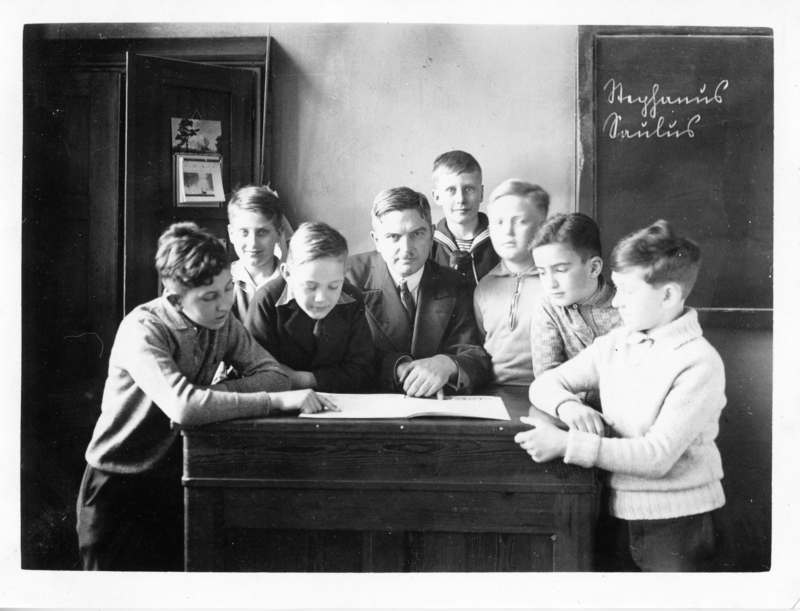 Gerd and his Classmates and Teacher. Amsterdam, Approx 1932. My Grandfather is second from the right. Teacher’s expression is captivating.